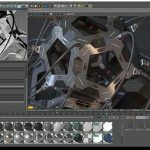 Daniel Sterckx Previews a New Plugin That Brings Radial Menus to C4D Workflows. Once someone sees how highly efficient radial menus are, it’s hard not to long for that kind of tool, no matter what application you use. That is probably why there are tools that bring the radial menu to Nuke, Photoshop, Blender, and Houdini. 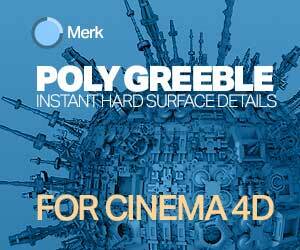 Now there seems to be a plugin coming for Cinema 4D, from PolyGnome creator Daniel Sterckx. The plugin, called “Dials” brings a wheel of tools under your current cursor in Cinema 4D, making them much more accessible. Of course, you can customize what shows up in the dials, adding any tools that you like. Assigning a hotkey to the system ensures a quick way to bring up the pie menu any time you want. The Dials plugin looks promising, but there is a way to go yet. “Current state of the plugin is only a concept, and I am mostly focusing on the actual tool selection. The part where the user sets up the tools still needs to be worked out.” Sterckx says. 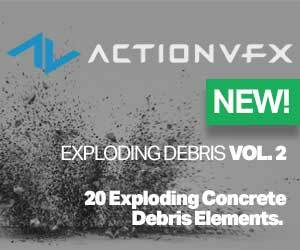 Could be a real workflow game-changer in C4D. Maya’s Marking Menus and HotBox set a precedent for the system in the mid-1990’s even though the earliest known work dates back to 1969, notes Dr. Gordon Kurtenbach, whose work on gesture-based interfaces brought the marking menu to Maya. However, the “current state” as mentioned in the article was that of the original message posted at the C4DCafe forum, when starting with the project … about a month ago. Since then a few beta’s have been posted, and as of last Sunday the release version is finalized. Ready to await permission to upload at the C4DCafe. Still, a nice article. Thank you. 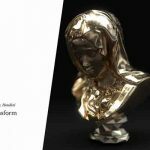 Great plugin, when will be avaible ? Doesn’t this already exist, shortcut key “v”? You can customize it, and you can also take that custom file with you to another machine, its called “c4d_M_GLOBAL_POPUP.res”, in the prefs folder.